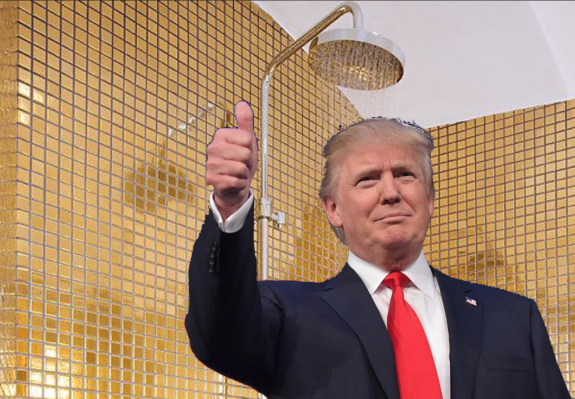 ... than to use the word "shower" regarding anything to do with Trump. He might just take her up on the offer. The co-hosts of MSNBC’s “Morning Joe,” Mika Brzezinski and Joe Scarborough, claimed on Monday that senior White House adviser Kellyanne Conway used to say she needed a shower after defending Donald Trump on air. “And also said, it was very interesting, also said that, ‘This is just like my summer in Europe,'” Scarborough said. “I’m just doing this for the money,” Brzezinski interjected. “‘But first I have to take a shower because it feels so dirty to be saying what I’m saying.’ I guess she’s just used to it now,” Brzezinski said. Heeeeey, it must be the money!